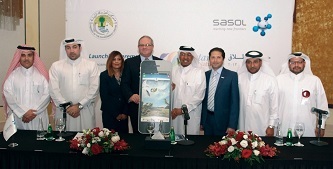 Sasol, the international integrated energy and chemical company and Friends of the Environment Center (FEC) have launched ‘Qatar e-Nature’, a bi-lingual interactive electronic application, aimed at increasing environmental public awareness among all social and age groups in Qatar. It contains detailed information and pictures of hundreds of plants, insects, and birds, as well as sounds of native and migratory birds. This launch is the outcome of a memorandum of understanding signed between Sasol and Friends of the Environment Center (FEC) for developing the app, earlier this year. “At Sasol, we are committed to local environmental stewardship and social responsibility. We are fortunate to have found an excellent partner, Friends of the Environment Center to develop the ‘Qatar e-Nature’ app. With Qatar being one of the countries with the highest smart phone penetration, it made sense to reach out to the wider public through a medium that they can be easily engaged on. This commitment to develop the app and spread awareness is aligned to contribute towards Qatar National Vision 2030’s emphasis on the development of the country’s Environment.” said Marjo Louw, President, Sasol Qatar. 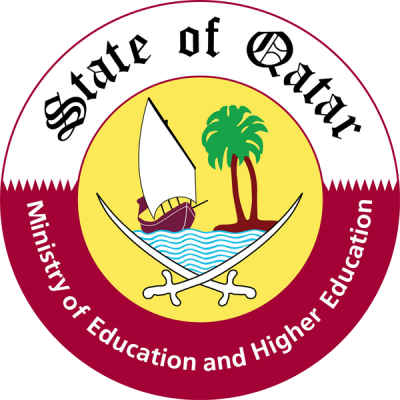 Available in Arabic and English, the free electronic app is aimed at the general public with particular focus on students. The database for the application was provided by FEC and includes detailed descriptions, local names and images of flora, birds and insects, as well as sounds of the native and migratory birds. A favourites section allows users to add a bird, insect or plant for later review. Users can even submit the images they’ve taken for the app moderators to consider as additions to the existing gallery. A special email helpline has been set-up to receive user feedback and for technical support, listed under the contact section. The app will be universally available for download on Apple App Store, Google Play store for Android, Windows Phone Store, and BlackBerry App World. A web version of the app (www.enature.qa) is also available for desktop access, optimised for mobile devices. Sasol Qatar has been active in seeking to raise environmental awareness in the Qatar as an extension of the company’s legacy in South Africa. For over 20 years, Sasol has been publishing a popular field guide to bird life in Southern Africa. In 2003, the company launched Sasol eBirds of Southern Africa, an interactive version of the best-selling guide. The ‘Qatar e-Nature’ app aims to bring this legacy of environmental education to Qatar, home to ORYX GTL -Sasol’s first gas-to–liquids (GTL) operation in a joint venture with Qatar Petroleum. Sasol is committed to supporting Qatar’s National Vision 2030 through its Corporate Social Investment efforts, which include a variety of social, educational, entrepreneurial and environmental initiatives. In 2012, Sasol initiated the ‘Definitely Able’ campaign, which has focused on empowering and bringing attention to the abilities of the disabled community in Qatar. Sasol also extends its support to the entrepreneurship community by partnering with Al Fikra Qatar national business plan competition and through an MOU with the Bedaya Center to help mentor budding entrepreneurs in Qatar. Sasol brought an acclaimed environmental play group to Qatar, for the QP environment fair 2013. Recently, Sasol announced its support to Qatar University for a research project on Carbon Dioxide (CO2) recovery from flue gas.